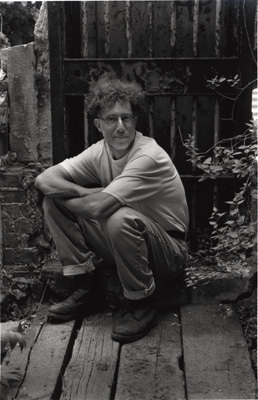 Joel Rose was was co-founder and editor of the legendary and influential Lower East Side literary magazine Between C and D, published in the 1980s. He is also the author of the novels Kill the Poor and Kill Kill Faster Faster, both of which have been made into feature films. 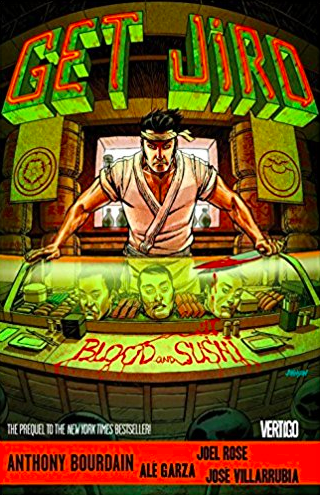 His other books include The Blackest Bird, New York Sawed in Half, and the bestselling graphic novel, co-written with Anthony Bourdain, Get Jiro!. His and Bourdain’s new graphic novel, Hungry Ghosts, is out in October. On October 16, he will be speaking at House of SpeakEasy’s Seriously Entertaining show, Forget Me Not, alongside Gregory Pardlo, Itamar Moses, and Laura Spinney. We spoke to Joel ahead of the show. My mother was sick my whole life. I went to college as a pre-med. Our family doctor told me repeatedly one day, with an education, I would cure my mother. The first day we were asked to write an essay. I wrote about being four years old and wearing a cowboy outfit on the street. The neighborhood kids beat me up. When I went home crying my mother took me outside and told the kids I was too a real cowboy, because I was born in the west. (Los Angeles – my parents were both from the east coast, my mother the Lower East Side, my father from Scranton, PA). My mother hated LA and they came back when I was one year old. This is what I wrote about. The next thing I knew I get a call from the head of the English Department, Otto Schoen-Rene. He invited me to his house, took me into his study, put a copy of James Joyce’s Portrait of the Artist as a Young Man in my hand. He said you feel this? You feel the heft? This is a novel. I think you can write novels. That was it for me. My father was a waiter, he never went to third grade, my mother worked in a shop, she had graduated high school. I had never met anyone like that. From that day on I thought of myself as a writer. Gatchi-gatchi-gatchi! The noise of the starving skeleton’s rattling bones (first story). Keep your head down. Have faith in yourself. Work. Graham Greene, The Power and the Glory.